Purina Pro Plan Cat Derma Plus Salmon Patented solution proven to maintain healthy skin and beautiful coat. 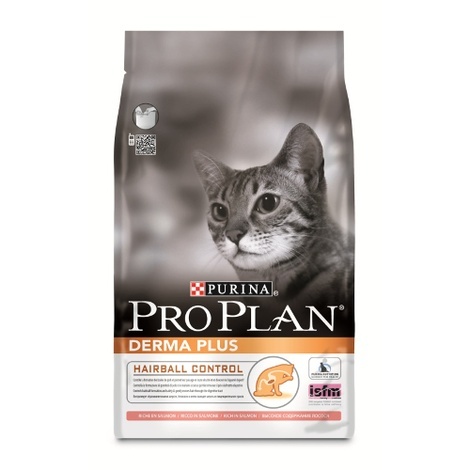 Pro Plan Derma Plus combines all essential nutrients - including B group vitamins, vitamin E, Zinc, omega 3 & 6 fatty acids and dietary fibre - in a high quality diet for cats. Formulated for sensitive skin. 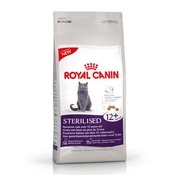 Controls hairball formation and safely & gently moves hair through the digestive tract with specially selected dietary fibre which catches the hair and moves it from the stomach, into the intestine so that the hair can be expelled in the cat's faeces. 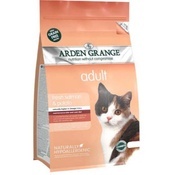 A taste cats love because it is carefully designed with high quality ingredients including salmon. 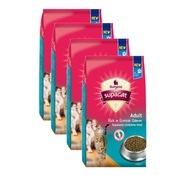 Your cat will taste the difference! 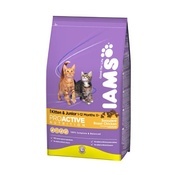 Silky and glossy coat with omega 3 and 6 fatty acids and other essential nutrients - like vitamin E, zinc and copper - to nourish the skin and coat. Helps limit excessive hair loss through the high protein levels and the nutritious blend of vitamins and minerals known to support healthy skin and coat Formulated for sensitive skin by using a limited number of protein sources. Salmon (16%), maize gluten meal, wheat, pea protein concentrate, maize, animal fat, wheat gluten meal, dried salmon protein, dried beet pulp, dried egg, minerals, dried chicory root, digest, yeast. 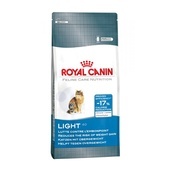 Cat Weight Quantity: 2-4 kg 35-65 g 4-6 kg 65-100 g 6-8 kg 100-130 g.
Feeding quantities required to maintain ideal body condition will vary, depending on age, activity and environment. Watch your cat's weight and adjust food amounts accordingly. Clean, fresh drinking water should always be available. For your cat's health, consult your veterinarian regularly.